All the waiting is over and the opening day has finally arrived. If you are like us you didn’t get much sleep the night before and are probably up early and on your way to the fishery well before the sun rises. You are looking forward to that first hook up of the season, but will it be a successful first day? This could all depend on some simple preparation days before you venture out. When did you last check your tackle? 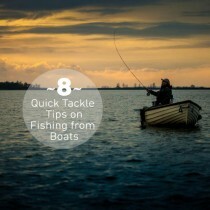 First check your tackle for any signs of wear and tare. May sound simple but when was the last time you did it? Check rings for any grooving or chips, if there are then replace the ring as this will damage all your lines when casting. Make sure joints are clean and the reel seat is smooth and operational. Check both leader loop and the backing joint just in case of wear, any fraying then replace immediately. Also run the line through your fingers to feel for any damage or splits and if so this may call for a new line. Let’s get organised! Lay them out in the box in an order that makes sense to you so you aren’t hunting for that one greeny olive thingy pattern amongst all the different olive greeny and orange patterns. Make sure you have a good selection of lures, nymphs, buzzers and boobies. Take a close look at all the hooks as you are moving them around. Often you will see previously used flies that have been put back wet will go rusty and can snap easily. If it’s rusty, replace it. This is an area that most anglers overlook. Fluorocarbon material has a very long shelf life but don’t be fooled, check every spool by pulling off a few yards and pulling it between your hands. Fluoro is supposed to be long lasting but we have found over the years that spools that have accidentally gotten wet and been stored away have become brittle and weak. If you find yours have done this then replace it. The fish won’t care if you are in your D&Gs or your Primani exclusives but early season fishing can be a nightmare to plan for, as the weather can vary from intense sun through to sleet and snow. Layers, layers, layers! For the cold frosty spring mornings thermal underwear followed by a heavy fleece bib and brace with a heavy fleece top and then breathable waders. On top of all that it is easy to add another fleece if it’s really cold or a waterproof coat if the rain comes. The last items are a neck warmer and a good warm hat. While a baseball cap will cut down on the sun’s rays it is hopeless for keeping the heat in so a good woollen hat will be far better in keeping you warm. Remember if you get too hot it’s easy to take a layer off but once you get cold it is very difficult to warm up. While other people carrying heavier rated rods he feels the above offers him the option to fish nymphs delicately and the other allowing him to fish lures effectively. For Hywel both the above rods have a fast tip action that enables him to cast tight loops resulting in good distance being achieved easily. If you can, have a good selection of sink rates so that you can fish every level effectively. Finding the fish holding depth is paramount at this time of year. A simple leader set up. For bank fishing why not try a 2 or 3 fly cast and maybe have ago at mixing things up a little by putting a lure on the point with a couple of nymphs up the cast. A simple set up would be 5ft from the line loop to the first fly or ‘top dropper’, 5ft to middle fly and 5ft to the point fly. This length can also be used to fish the washing line method. My oh my, choose me a fly! This area of fly fishing can be daunting especially for the beginner with thousands of flies all different colours, shapes and uses. For lure fishing or as we like to call it ‘Big n Ugly’ fishing just think of big long tails and obnoxious colours. Regular colour changes can often result in positive reactions from the early season fish. Or if they are not in a chasing mood try some buzzer fishing. Keep your buzzers simple with a most effective one being the crisp packet buzzer (named because of the cheeks either side being made from an orange crisp packet.) Often fished three up on the same cast covering different depths. It’s a killer this time of year. On the first day of a new season nobody really knows where the fish will hold and the majority of anglers will end up fishing with the wind behind them. While this is comfortable for fishing it might not prove fruitful so you may find yourself casting into or across the wind. Please be careful here and make sure that you don’t put yourself in danger. Cross winds can be horrendous and on far too many occasions you can see anglers put themselves in danger by casting across the wind and it pushes the line into them and just before delivering the final forward cast they duck to get out of the way of the fly. Also called by Hywel the ‘chuck and duck method’. This is a simple and methodical way of covering all the water in front without just being random about your fishing and it will stop you just casting in the same spot again and again waiting for something to swim past and slurp up your fly. This is simple you start on the left with a short cast, say around 5-10 meters or so. The fish aren’t always in the middle of the lake by the way. Then the next cast is a few meters to the right at the same distance out. Rinse and repeat until you have completed an arch in front of you using all the available water. As you are going into the deeper part of the lake in front of you use the countdown method. Cast out and count to 5 seconds before you start to retrieve. Deeper still count 10 seconds and so on. This is done until the whole half circle is complete. The semicircle is done at 5-10 meters out and the next is 10-20 meters out and so on. Following this system ensures that every area of the water and depth is covered effectively and hopefully locating those elusive fish. 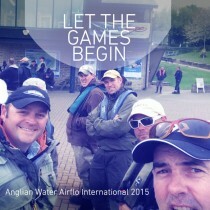 This is an aspect often overlooked by anglers but it could be one of the most important. The essential thing is to vary it all the time. Not just do a different retrieve each cast but different retrieves within every cast. Try starting with a slow figure of eight moving on to small sharp strips and then try a long pull. 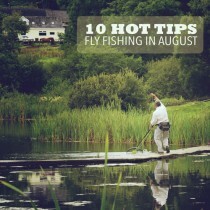 Even stop during the retrieve allowing the fly to sink again before starting back up. The other one is the Roly Poly and I know some people don’t like this type of retrieve but it has its place and can be very effective part of your armoury. When bank fishing be mobile and cover a lot of water, remember early season the fish tend to be tightly packed and you will have to go and find them. Because of this try to travel light even using a belt bag to carry spare tackle and your bits ‘n’ bobs. This allows you to be stealthy and keeps everything to hand. A lot of anglers will carry a bag that they leave behind them, always having to keep an eye on it and remembering that you left it 3 pegs back when you need something out of it. Travel light and work the banks systematically. 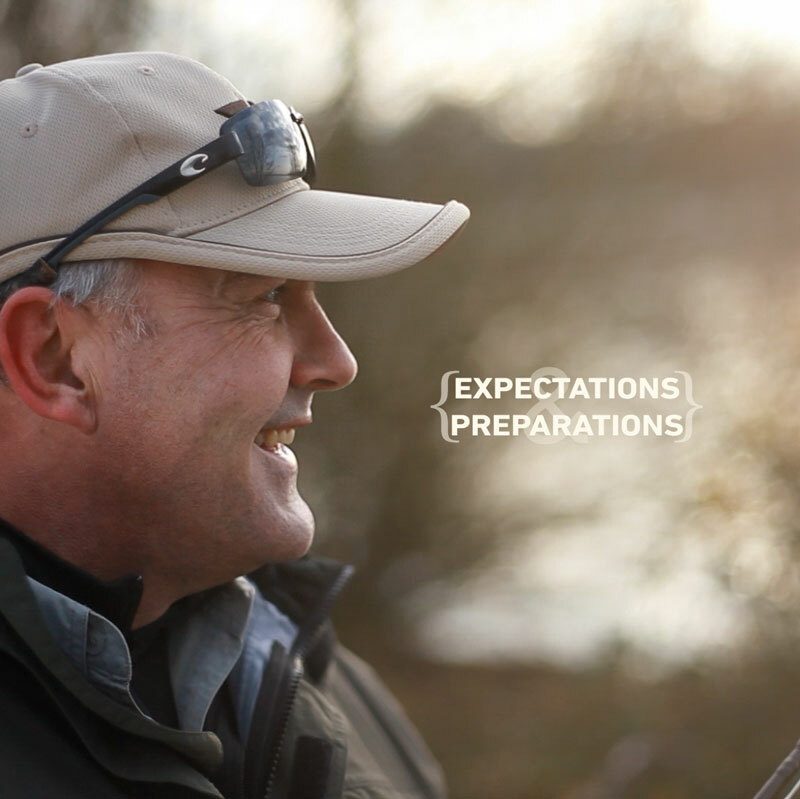 If you always do something before the beginning of the season to ensure you have success then why not leave a comment and share it with the HMFlyFishing Family so we can all help each other. Also if you have any questions about any of the above then drop us a line and we will always try to help. So what are you waiting for? Go get out there!